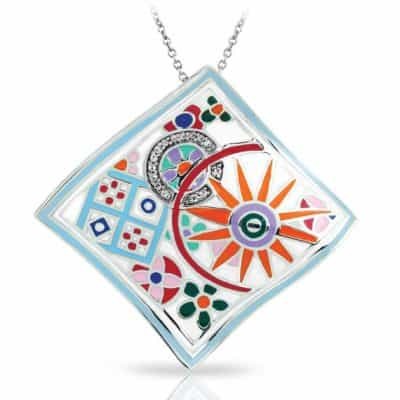 Geometrica Multicolored Pendant. 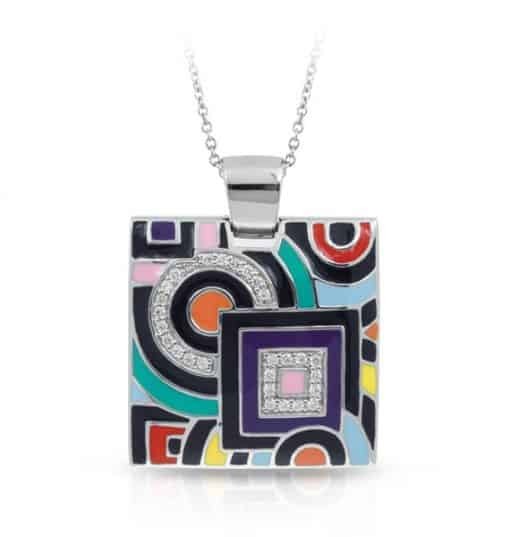 Find twinkling stones nestled within this unique and avant-garde design. Each piece of the Geometica Collection represents a wearable piece of classic cubism fine art. 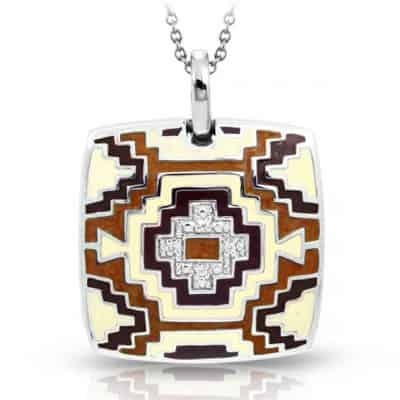 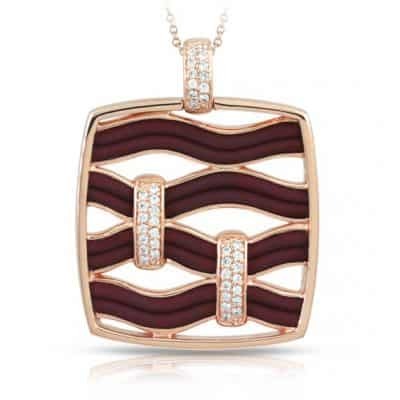 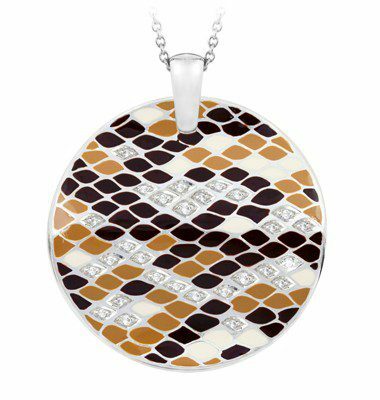 Aztec Brown & Cream Pendant.